Adventures In Uglyworld: Uglyworld #220 - Did You Forget Your Key? Uglyworld #220 - Did You Forget Your Key?, originally uploaded by www.bazpics.com. 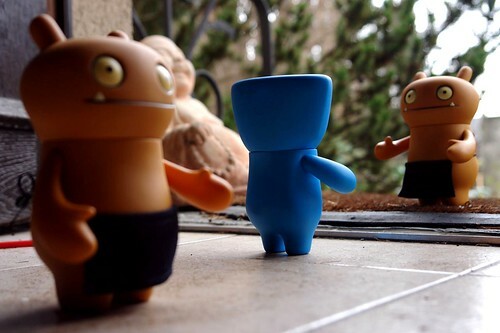 Everyone was relaxing in the house today when there was a ring of the doorbell, Babo was playing the Xbox360 with Cinko while the others spectated, so Wedgehead was the one who went to see who it could be. Wage had been upstairs when the bell rang, and made his way downstairs by which point Wedgehead already had the door open. Wedgehead asked, "Wage, did you forget your key? Why did you ring the doorbell? ".